Do you picture yourself living in your home for the rest of your life or will you eventually move to a different home? Realtors love it when homes have fireplaces because they add extra value to your property value. Although this may not be your driving force behind investing in a fireplace, it certainly is a great perk for later down the road. Heating your entire home can be pricey, but you could save on energy costs when you have a fireplace. Simply turn down your thermometer and build a fire, if you have a woodburning fireplace. If you have a gas fireplace, simply flip the switch to start a fire and enjoy. Nothing beats the feeling of sitting in front of a warm, crackling fire on the coldest winter night with a glass of hot chocolate. You could read your favorite book or watch your favorite show or simply zone out in front of your fireplace. Fireplaces can be quite romantic, too. For your next date night, you could have a picnic in front of your fireplace with your significant other and enjoy a bottle of full-bodied red wine. Spending time together in front of the fireplace offers important bonding time without any outside distractions. Adding a fireplace to your home adds so much visual appeal to your living area, making it feel warm and inviting. If you go with a more traditional fireplace, you’ll have a mantlepiece to decorate to your heart’s desire. With Christmas approaching, you’ll finally be able to hang stockings by the chimney, which will delight your kids. 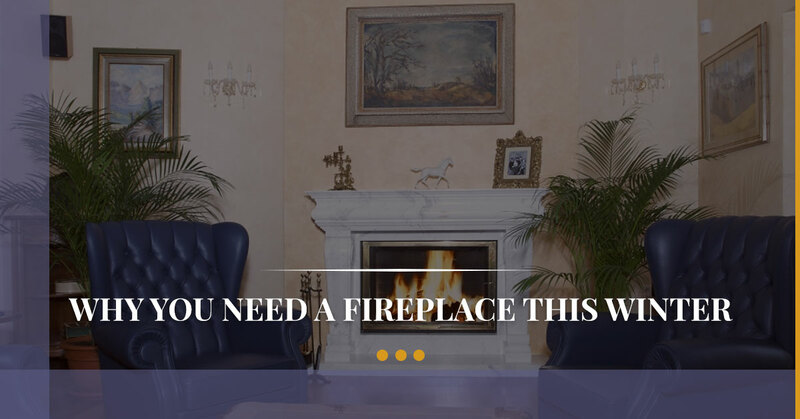 Are fireplaces not your thing so much? Maybe you would like a wood-burning stove or a gas stove. Stoves are quite efficient for heating your home, and they don’t draw in any cold air when not being used, unlike wood-burning fireplaces. Whether you like more traditional decor or prefer a cleaner, more modern look, we sell a variety of different fireplaces and stoves to transform your home this winter. In fact, we even sell outdoor fireplaces so you can enjoy the outdoors all year long in the convenience of your backyard.